There are some tried and true tricks and tips to quit smoking that people have found very effective. Some may work for you and other may not, but my suggestion would be to try them all. Tell everyone that you can about your venture into a world of non-smokers. Support groups and encouragement from people that love you and want to see you succeed may make the difference. 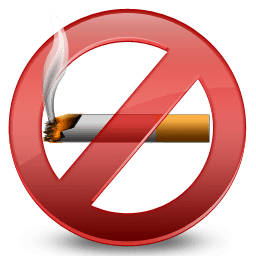 Behavioral therapy in combinations with NRT (nicotine replacement therapy) products or a prescription medication may be the perfect combination to achieving your quit smoking success. There is always something that we associate with a smoking habit…such as liquor or a morning cup of coffee. It is important to change your routine, and avoid certain triggers, to help you achieve success. For example, switch to drinking tea for the first couple of weeks, and go for a walk, brush your teeth or find something else to do after enjoying a meal. After you have smoked your last cigarette have the inside and outside of your car washed, throw away all lighters and ashtrays. Have your carpets, drapes and cloth-covered furniture professionally cleaned to remove the smell of smoke from your home. Add some citrus peels to some water and simmer on your stove to add a fresh scent to your home. Exercise increases “feel good” brain chemicals, and that eases some nicotine withdrawal symptoms. Instead of reaching for a cigarette, grab some weeds from your garden or take the dog for walk. In addition, to reduce your craving for a smoke, exercise will also keep potentially extra weight away. Drinking water has many benefits, and this is a tip to quit smoking that everyone should engage in. Water flushes your body of nicotine and other harmful chemicals, and also the act of drinking refreshing/cool water reduces cravings. At all times keep a picture of someone you care a great deal about, with you, and tape a note to the photo that says “I’m doing this for you – and me”. Look at the photo each and every time you have a craving to light up. This tip to quit smoking is effective, because it reminds you that you are never alone, and that choosing a healthier lifestyle is beneficial for everyone. Many people falsely think that smoking is relaxing, but it is really the “break” they are looking for. It is important to find another outlet to manage stress, such as yoga movements, listening to classical music and enjoying regular massages.